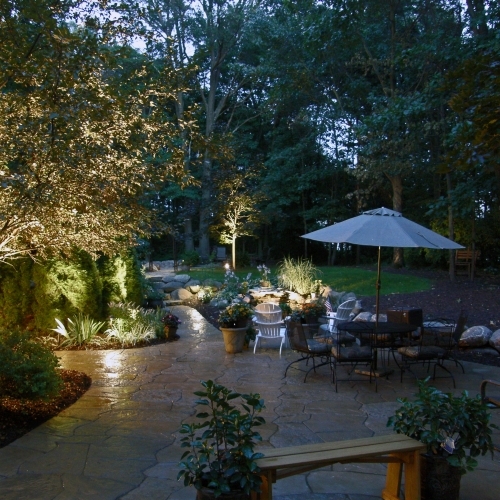 Landscape lighting can really enhance the appearance of your landscape, while simultaneously adding visibility and increasing security. Our company is ready to design and install your system so you can always feel more comfortable at your property in Fenton. Our professionally trained service staff is ready to aid you if and when you ever experience issues too. You can satisfy all of your illumination needs while saving energy with low voltage LED lights, and brass, copper and cast aluminium fixtures are available to you. 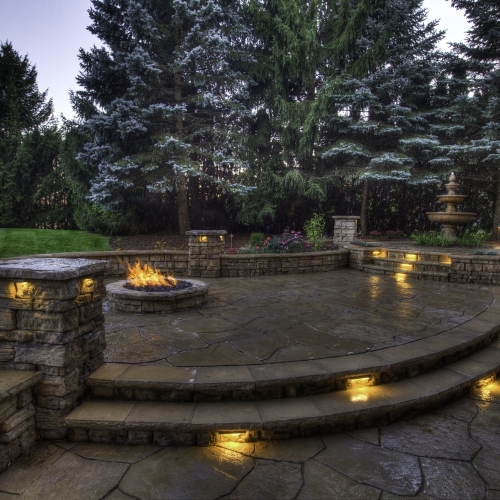 We offer outdoor lighting from Vista, Encore and Kischler, and can create a customized design for your home or business location. and the workers who did the job." Very knowledgeable and good at what he does! Thanks!" for our new home, I greatly appreciate how they worked to make my yard one of the nicest on the block!!" received from Scott Palmer, our concrete crew led by Matt and our landscaping crew led by Jonathon. All involved were hard working, professional and diligent. We would use Todd's Services again in the future and would recommend to others."